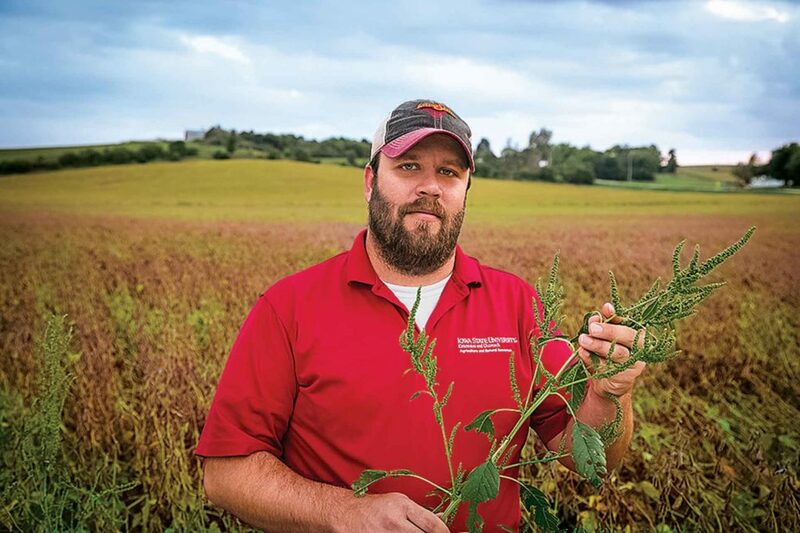 When it came time for combines to roll in the autumn of 2016, the rumors were flying that some soybean fields in Ohio had already been “harvested,” so to speak — mowed earlier in the year as a way to prevent an out-of-control Palmer amaranth weed invasion from going to seed and spreading further. Palmer amaranth is a competitive weed that can be costly to control in crop fields. Public Enemy No. 1. That’s why there is a sense of urgency as Corn Belt states attempt to outflank the migration of Palmer amaranth into the heart of the Corn Belt. 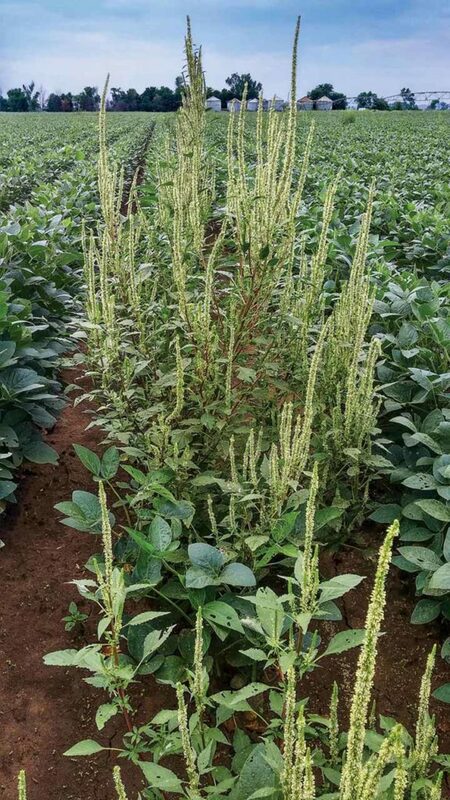 Farmers in the upper Midwest are familiar with the pigweed family; redroot pigweed (Amaranthus retroflexus) and waterhemp (Amaranthus tuberculatus) are close relatives of Palmer amaranth (Amaranthus palmeri). But Palmer amaranth, native to the southern U.S., is a much different breed of cat. It is considered by weed scientists to be the most competitive and aggressive of the pigweed species, capable of growing up to 3 inches a day. Palmer amaranth tends to have a much more dense canopy than waterhemp, a look that some experts describe as a poinsettia-like appearance. The petiole (the slender stalk that attaches the leaf to the main stem) is long on a Palmer plant — the petiole typically is longer than the leaf itself. Differences are more pronounced in the reproductive stage, as the inflorescences (seed heads) on a Palmer amaranth plant are usually longer and thicker than those on waterhemp. There also are large, sharp bracts that extend from the flower on a female Palmer plant, pointed and painful to the touch. Both waterhemp and Palmer amaranth are prolific seed producers, capable of setting up to a half-million seeds per plant. Zero tolerance. Palmer amaranth is easier to identify as it matures, but the race is on to remove plants before they develop viable seed. Experts suggest that female Palmer plants be removed from the field burned, composted, or buried to destroy any seed. Witt suggests keeping a close eye on those fields in subsequent years to stay ahead of any seeds that were missed. Mike Witt helps growers learn key differences between waterhemp and the new pest. Weed scientists also are investigating why Palmer amaranth migration kicked into high gear in 2016. Detective work into new infestations in Corn Belt states point to possible contamination of seed supply used in first-year Conservation Reserve Program plantings, such as the popular CP42 Pollinator Habitat Initiative.